Hyundai Asan Corp., the company that pioneered inter-Korean commercial ties, said Tuesday that its loss from the suspension of its North Korea tour programs is estimated at nearly 1 trillion won (US$909 million) over the past six years. The company said on the eve of the 16th anniversary of starting the tours to Mount Kumgang on North Korea’s east coast that it has also been forced to reduce its workforce by up to 73 percent. Before visits were stopped, the company employed 1,084 people to handle tours to Mount Kumgang and the city of Kaesong, but the staff has been slashed to just 285. Kaesong was the capital of the Goryeo Dynasty (918-1392). The estimate is based on the assumption that some 300,000 tourists would have visited the scenic mountain and seaside resort on an annual basis if the ban was not placed. For Kaesong, Hyundai Asan said the loss in earnings was calculated on the premise that some 100,000 people would have visited the city per year. Seoul banned all tourists from visiting the isolated country after a North Korean guard shot a South Korean visitor dead in July 2008 at Mount Kumgang. South Korea said the North must formally apologize for the mishap and assure that the tragedy will not occur in the future. Tourists first started visiting the mountains in November 1998 and by 2008, over 1.93 million made the trip to the North. “The halt in tourism to the mountain resort has cost the company 809.4 billion won, while losses brought on by a ban on tourism to the ancient city of Kaesong on the west coast, has ballooned to 125.2 billion won with the total reaching 934.7 billion won,” the company said. They added that if tours do not resume soon, the loss in earnings will reach the 1 trillion won mark. The halt in tourism is particularly painful because the company, part of the larger Hyundai Group, invested 226.8 billion won in various facility investments and US$486.69 million to acquire land and operational rights from Pyongyang. Hyundai Asan said that despite troubles, it has a plan in place that can restart tours in two months, with its top executives still hoping that cross-border relations will improve so operations can resume. North Korea held a rare investors relations event over the weekend and its more capitalistic and entrepreneurial manner hinted at a new openness to foreign investors and economic reform in general. “The door is wide open. Come on in any time,” said Oh Eung-gil, president of North Korea’s Wonsan District Development General Corporation. Oh was inviting South Koreans to invest in the North as he addressed a group of businessmen at an investors relations session at the Shangri-La Hotel in Dalian, China, on Saturday. The investors relations event was arranged by the Dalian chapter of the World Federation of Overseas Korea Traders Association. About 200 Korean businessmen from around the world including Australia, China and the United States attended. From North Korea, five delegates including Oh joined the event. The North started its event with a presentation by Oh on the country’s laws governing foreign investments and the business environment. “We have already simplified the investment application procedures and created regulations that meet international standards,” Oh said. He spent a considerable amount of time to assuring businessmen that their investments, if made, will not vanish overnight. He also stressed that the North has abundant mineral and fisheries resources. With its 2 million educated workforce, who graduated from 300 universities, Oh said North Korea is the best place to make investments in Asia. He said foreign companies that invest in special economic zones will only have to pay 14 percent corporate income tax and that the tax is even lower for some advanced technology industries. Making investments in the North’s infrastructure will also be tax-free, he said. The North also held an unprecedented question and answer session. At similar events in the past, the North only made presentations without answering investors’ questions. A businessman said he was afraid that the North Korean government could confiscate his investments, and Oh assured him that the government guarantees all legal investments by laws. Oh even used humor to answer one businessman’s question. “I would like to invest in hospitals,” the businessman said. Following Oh’s presentation, Ri Sing-ryol, vice president of the Wonsan District Development General Corporation, unveiled a development plan for the Wonsan-Mount Kumgang international tourism zone. He said the zone has 142 historic sites, 11 white-sand coasts and nine lakes, as well as 676 tourist venues. The North’s Standing Committee of the Supreme People’s Assembly announced in June an ambitious plan to develop the area as an international tourism zone. “Now that the Kim Jong-un regime is settled, the North’s top priority is resolving economic hardships and strong economic reform is being pushed forward,” said Jin Jiang, chairman of the Dalian Chapter of the World Federation of Overseas Korea Traders Association. 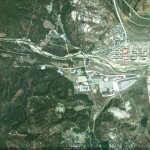 North Korea requested South Korea to make additional investment in Mount Kumgang and Wonsan areas, claiming that “it never confiscated the South’s property,” which it had forfeited and frozen in April 2010. Oh Eung Kil, general president of Wonsan district development company under the North’s external economy ministry, told South Korean reporters at an informational session on investment in the North in Dalian, Liaoning Province, China on Saturday. Meanwhile, Oh said, “Foreign shipment of unprocessed natural resources has been designated as an additional item subject to restriction of investment into North Korea.” While banning shipment of coals and others without processing in North Korea by foreign investors, the North intends to allow processing of such resources within the Stalinist country. Since the North Korean authority singled out “sale of valuable natural resources at bargain prices as a unpatriotic act” as one of the crimes allegedly committed by Jang Song Thaek who was executed late last year, Pyongyang is believed to have strictly restricted foreign shipment of natural resources. Here is additional coverage in the Choson Ilbo. 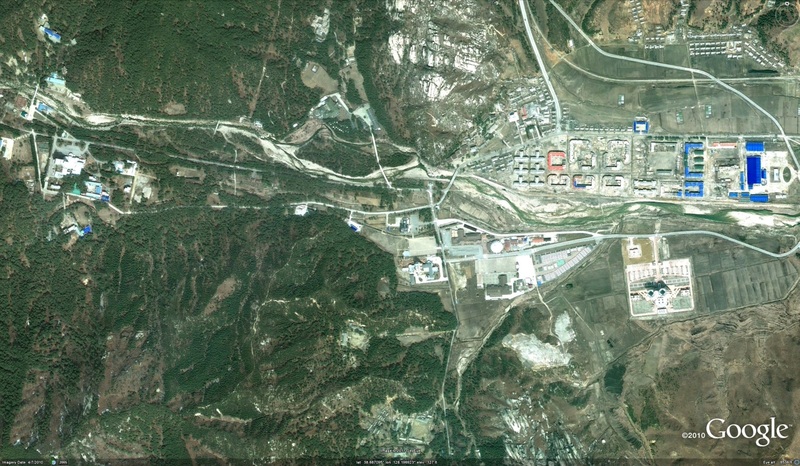 Other posts on the Wonsan-Mt. Kumgang International Tourist Zone here. See the category tab on the right for more. The Kumgang resort was receiving 400,000 visitors per year until in July 2008 it became the scene of a terrible tragedy, the shooting of a South Korean tourist. Following the incident, the South Korean government prohibited its citizens from visiting the resort until the DPRK allowed a joint-Korean investigation of the shooting and made a guarantee of future safety. The DPRK never agreed to these terms so the park fell idle. The suspension of the project has cost the DPRK government millions of dollars. In response it has moved to pressure the ROK government to change course and allow the tours to resume. Below I have kept a timeline of the course of these events and their outcomes. 2014-7-14: The Hankyoreh marks July 11–the 6th anniversary of the day when tours to Mt. Keumgang in North Korea were suspended. “As a result of the suspension of tourism to Mt. Keumgang, we have lost nearly 1 trillion won [US$981 million], including the 300 billion won [US$294.32 million] invested in the facilities and an estimated 530 billion won in lost revenue,” the investors said. They urged the governments of North and South Korea to immediately hold working-level talks to resume tourism to Mt. Keumgang and to hold reunions for divided families. “The position of the government is that the issue of the safety of its citizens must be resolved before it can allow tours to Mt. Keumgang to resume. In addition, given the continuing UN Security Council sanctions in response to North Korea’s nuclear and missile testing, which occurred after tours to Mt. Keumgang were halted, we think that the tours cannot be resumed until the government indicates that doing so would not be in violation of UN sanctions,” said Ministry of Unification spokesperson Kim Ui-do during a regular press briefing on July 11. 2012-11-27: The Hankyoreh reports that North Korea provided a written guarantee for the safety of tourists at Mt. Kumkang during 2010 working level talks with the South Korean government. 2011-9-6: South Korea asks foreigners not to invest in Kumgang saying such investments would violate existing property rights. 2011-9-6: Park Chol-su, head of Daepung International Investment Group, said he wants to discuss with South Korea’s Hyundai Asan how to handle its assets at the North’s Mount Kumgang. 2011-8-31: Chinese tourists arrive in Kumgang on Mangyongbong. 2011-6-2: “DPRK Law on Special Zone for International Tour of Mt. Kumgang” released. PDF of the statute here. 2010-4-25: The National Defense Commission takes over the properties and puts the Korea Taepung International Investment Group in charge of attracting investors and tourists to the resort. 2010-4-11: Chinese tourists began arriving at the resort (here and here). South Korea said Friday it will extend 20 billion won (US$19.2 million) in loans to companies that have been in financial trouble for years due to the suspension of their businesses with North Korea. The decision came four months after South Korean investors called for special low-interest loans to help ease their financial pinch following the shutdown of their businesses. South Korea has suspended a tour program to Mount Kumgang since 2008 when a female South Korean tourist was shot dead by a North Korean soldier near the mountain resort on the North’s east coast. Seoul’s move dealt a heavy blow to South Korean companies that invested in the North’s mountain resort, including Hyundai Asan, the inter-Korean business arm of Hyundai Group. North Korea has since repeatedly called for the resumption of the tour program, which served as one of a few legitimate revenue sources for the cash-strapped country. South Korean businessmen involved in projects in North Korea suffered further setbacks in 2010 when Seoul slapped sanctions on Pyongyang over the deadly sinking of a South Korean warship blamed on the North. Under the sanctions, South Korea has suspended inter-Korean projects and banned new investment in the North, except for their joint factory park in the North’s border city of Kaesong. The unification ministry, which handles inter-Korean affairs, said it expected the latest extension of loans to help ease financial difficulties of the companies. South Korea has extended special loans worth 62.6 billion won ($60.1 million) to more than 230 local companies involved in cross-border projects with North Korea in recent years. This week, the North called on South Korea to lift the sanctions imposed on Pyongyang in retaliation for the sinking in March 2010 that killed 46 South Korean sailors. South Korea has called for, among other things, the North’s admission of its involvement in the sinking in return for lifting of the sanctions, though Pyongyang has refused to take responsibility for the deadly attack. North Korea announced that it has instituted a new law to begin levying tax in the Mount Kumgang Tourist Zone which has been — until now — a tax-free zone. In addition, a personal protection regulation for tourists was also added to its tourism regulations. North Korea has been modifying laws pertaining to the Mt. Kumgang area in order to develop it as a special tourism zone. Last week, Yonhap News reported that it had obtained from North Korea a book that was released last November on North Korea’s laws and regulations on international economic policy. According to the book, North Korea adopted in June 2012 a new tax regulation for the Special Zone for International Tour of Mount Kumgang. The law was passed by the Presidium of the Supreme People’s Assembly. The new tax regulation stipulated that any companies or individuals (foreigners and oversees Koreans) who conduct business transactions or make profit from the Special Zone for International Tour of Mount Kumgang are subjected to tax. The business income tax applied in the Mount Kumgang zone are on average about 14 percent of one’s yearly profit (infrastructure projects including airport, railways, roads, and port construction only pay 10 percent) and individual income tax ranges from 5 to 30 percent when monthly income is 300 euros (approximately 430,000 KRW). The tax regulation also covers property, inheritance, transaction, business, and local tax. This comes as a subordinate law under the Special Law for International Tourism in Mount Kumgang, which was enacted in May 2011 and subsequently revoked the monopoly rights of Hyundai Asan. As such, this law likely will impact South Korean investment in the Mount Kumgang tourism industry. In the past, working closely with Hyundai Asan, North Korea designated the tourist area as a tax-free zone. There were also no separate laws regarding the levying of taxes on foreigners except for South Korean tourists, who were required to pay 50 USD per person. In the ‘Tourism Regulations of Mount Kumgang International Tourism Zone,’ a clause was added that specified the special travel bureau for international tourism was responsible for the protection of personal safety and property of tourists in Mount Kumgang. The special travel bureau for international tourism is under the jurisdiction of the Guidance Bureau of the Special Zone of Mount Kumgang International Tourism. North Korea’s decision to insert a clause ensuring the safety of tourists is likely due to the fact that this issue has continually been raised as a main concern since the death of a South Korean tourist in the zone in July 2008 and subsequent halt of inter-Korean cooperation in the Mount Kumgang project. In addition to the new tax and tourism regulations, North Korea also made new regulations pertaining to the foundation and management of enterprises; customs; access, visitation, and housing; insurance, and environmental protection, among others. South Korean businesses have suffered losses of up to ten trillion won (US$8.3 billion) from the cutbacks in inter-Korean economic cooperation under the Lee Myung-bak administration, figures show. The losses taken by South Korean firms are fives times the 1.8 trillion won (US$1.7 billion) North Korea’s estimated losses. The results show an unintended effect of Seoul’s May 24 sanctions, which were meant to punish North Korea economically for the shooting death of a tourist at the Mt. Kumkang resort, the sinking of the Cheonan warship, and the shelling of Yeonpyeong Island. North Korea has offset these losses with increased cooperation with China. South Korea’s government last year executed the smallest amount of its inter-Korean cooperation fund in a decade, officials said Sunday, in another reflection of frayed relations with the communist North Korea. The Unification Ministry, in charge of North Korean affairs, spent 42.6 billion won ($36.6 million), or 4.2 percent of the 1.1 trillion won fund designated as “South-North Cooperation Fund,” the ministry officials said. The fund was used to support a Korean dictionary project, a humanitarian program by the United Nations Children‘s Fund as well as operating a facility for family reunions and an association for the inter-Korean industrial complex, they said. Last year’s spending was the lowest level since 2000 when the two sides held their landmark summit talks and agreed on a wide range of cooperation projects as part of their reconciliation efforts. Inter-Korean relations went to the lowest ebb in a decade after the North‘s two deadly provocations in 2010 that killed 50 South Koreans. In 2008, when President Lee Myung-bak took office with a hard-line stance on North Korea’s nuclear program, the cooperation fund‘s execution rate plunged to 18.1 percent from 82.2 percent in 2007 under the liberal predecessor Roh Moo-hyun, the report noted. The rate had remained at the 7 percent level between 2009 and 2010, it said. North Korea has allowed a Chinese company to do business at its scenic mountain resort, a source said Tuesday, in an apparent attempt to revitalize the resort at the center of a dispute with South Korea. The company plans to organize a cruise tour to Mount Kumgang on the North’s east coast for Chinese tourists from Hong Kong and other eastern Chinese ports, said the source familiar with the issue. The company, which won permission to run the business until the end of 2026, also plans to run a casino, a duty free shop and a hotel in the resort, the source said. The move comes just months after North Korea made a trial cruise from its northeastern port city of Rajin to the mountain resort to try to attract Chinese tourists. North Korea has launched a series of tourism programs for the Chinese in an apparent bid to earn much-needed hard currency. For a decade, South and North Korea jointly ran the tour program at the resort, a key symbol of reconciliation on the divided Korean Peninsula. Still, Seoul halted the cross-border tour program following the 2008 shooting death of a tourist by a North Korean soldier near the resort. Seoul has demanded a formal apology from Pyongyang for the incident, in addition to improved security measures for tourists, before resuming the tour program, a key cash cow for the North. However, the North has expelled South Korean workers from the resort and disposed of all South Korean assets there after it unsuccessfully tried to pressure Seoul to resume the tour program. South Korea has asked foreign countries not to invest or engage in tourism activities at the mountain resort as part of its moves to protect its property rights there. Dear Yonhap: Would it have been too much trouble to give us the name of the Chinese company or tell us anything about it? North Korea is expanding travel routes between China and its scenic resort in Mount Kumgang, a source familiar with the North said Monday, indicating Pyongyang’s continued efforts to earn much-needed cash from Chinese tourists. The new routes will include extra flights from Chinese cities to Mount Kumgang on North Korea’s east coast, in addition to trains and expressways linking Beijing to the mountain resort via Pyongyang, the source said on condition of anonymity. The move comes after North Korea recently ran a trial cruise from its northeastern port city of Rajin to Mount Kumgang. The source also said more than 100 Chinese tourists traveled to the resort on a five-day itinerary at the end of last month. By the end of this month, North Korea is planning to launch a tour program to Mount Kumgang from China’s northeastern city of Harbin, although it is not clear whether the flight will land in Pyongyang or at a military airport on the mountain, the source said. North Korea is reported to be considering converting a military airfield near the resort to a civilian airport to facilitate travel to the area. “Starting with Harbin, (North Korea) plans to operate flights for Mount Kumgang from 16 cities across China, including Beijing, Shenyang and Guangzhou,” the source said. “They also plan to attract Chinese visitors by opening a railway and expressway linking Beijing, Pyongyang and Mount Kumgang,” the source added, saying the first train tour on the route will likely be in April. The move comes amid a dispute over the handling of South Korean assets at the resort. Seoul halted an inter-Korean joint tour program to the resort in 2008 following the shooting death of a South Korean tourist in the area. In protest, North Korea recently expelled South Korean workers from the resort and vowed to legally dispose of all South Korean assets there. The tour program had served as a cash cow for the impoverished North. South Korea has asked foreign countries not to invest or engage in tourism activities at the resort in a bid to protect its property rights there. Previous posts on Kumgang here. 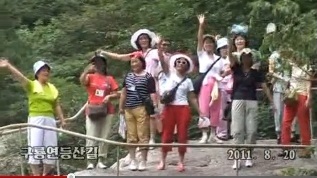 Pictured above: North Korean visitors to Kumgangsan wave to the camera in this video posted to Uriminzokkiri’s YouTube page. The Video is dated 2011-8-20. North Korea has reportedly opened the Mount Kumgang resort to its nationals since April after having allowed only a select few to visit the scenic area before with permission. Pyongyang apparently intends to pressure Seoul by opening the door to the mountain to the North Korean people after failing to attract foreign investment and tourists to the resort. North Korea, however, allows only group tourists and not individual visits. North Korean authorities have ordered companies and businesses to visit the site for company picnics or events, and the mountain has 4,000 to 5,000 visitors per month. A business unit that wants to visit files an application with the provincial government, which then reports to the international tourist authorities of Mount Kumgang. After screening candidates, authorities issue a tourist certificate that allows holders to pass checkpoints on the way to the mountain. Two days are generally needed to travel the region, and visitors use the accommodation facility called Kumgangsan that can handle 500 people per day. The source said rooms are in short supply because of many visitors. Each visitor should cover his or her own expenses. The estimated cost is around 1,700 North Korean won (1.43 U.S. dollars) for entry and 19 cents per night, so the combined expense amount is 2,500 to 3,000 North Korean won (2.10 to 2.53 dollars). Speculation is rising over whether the North will use South Korean real estate and equipment belonging to Hyundai Asan Corp., the South Korean operator of the tour, and others. Pyongyang announced Monday that it will dispose of South Korean assets and properties in the resort area. “North Korea has not yet used any South Korean facilities but has apparently used them for local tourists,” the source said. Pyongyang, July 30 (KCNA) — A Chinese tourist group led by Zhuang Jun, general manager of the Chinese Kanghui Xi’an International Tourist Agency, visited the Tower of the Juche Idea, Party Founding Memorial Tower, Pyongyang Students and Children’s Palace and Mangyongdae, President Kim Il Sung’s native place, in Pyongyang on Friday and Saturday. The tourist group came to Pyongyang by the Pyongyang-Xi’an international air service. I was pleased to see an excellent performance of Korean schoolchildren. I hope they will perform in Xi’an. I have long looked forward to visiting Mt. Kumgang. In the afternoon we are leaving for the mountain. I will be happy to enjoy the beautiful scenery of the mountain. Read about the continuing troubles at Kumgang from the shooting to the present day here. You are currently browsing the archives for the Mt. Kumgang Tourist Special Zone category.